One of the greatest challenges of seaside photography for me is the timing between taking my camera outside of an air-conditioned car or house and taking a shot. My timing was suberbly off in this instance, but I thought the condensation created as spooky a sand picture as I’ve seen. Well, sort of. It was a very quiet Halloween. No trick-or-treaters. Honestly, between my tall fence and my creepy dead tree, I wouldn’t be surprised if the neighborhood kids think my house is haunted. Oh wait, it is. 🙂 So I give you this little creepy goody, taken at Kelsea’s favorite place in the mountains. I’m not a big fan of Halloween, and I never have been. But I surprised myself this year. Somehow or other, I found out about The Shining Ball. And somehow or other, I asked my new beau, MKL, if he’d like to go. And somehow or other, he said he would. 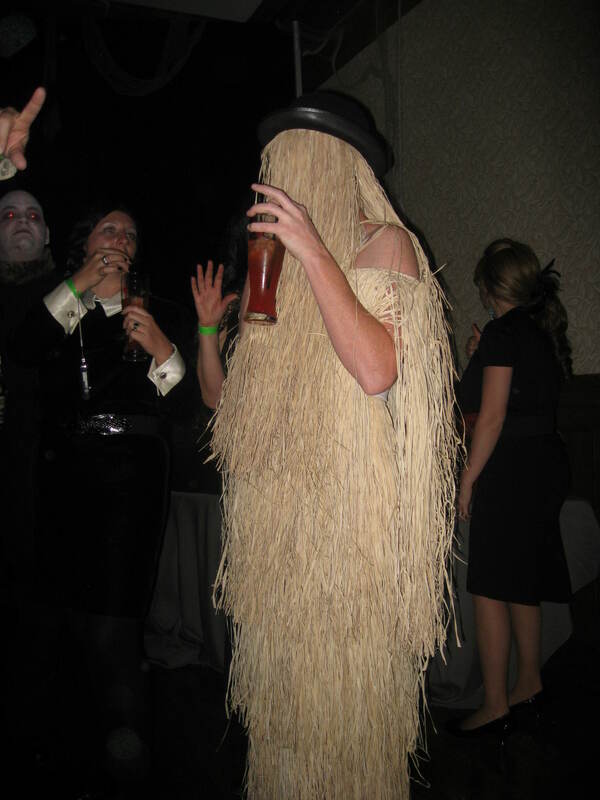 So a few weeks ago, I found myself renting a real Halloween costume. I don’t know why I’ve never liked Halloween. 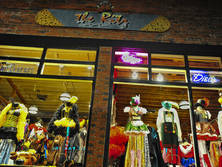 I like the concepts that it encompasses – souls, spirits, alter egos, revelry, chocolate. Still, not my favorite holiday. Kelsea has always loved it, so I did the dutiful costuming of myself to accompany her when trick-or-treating. Generally those costumes would consist of nothing more than a neon colored wig. I like neon color wigs. 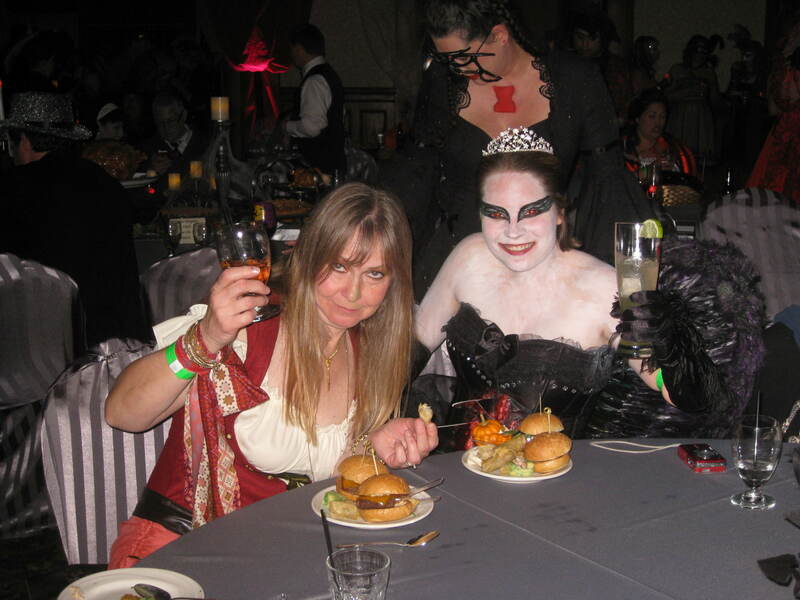 A couple of years ago, I did fall into possession of a slutty pirate costume, that I still have and like very much. But that was a seriously bizarre Halloween that will never be discussed. 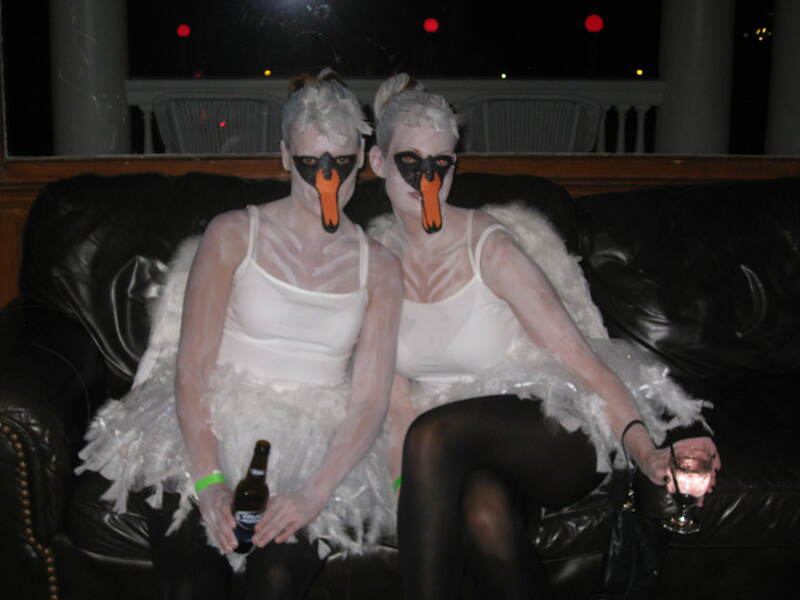 It did make me contemplate why 95% of Halloween costumes are slutty. Is that seriously what women’s alter egos are? Slutty cheerleaders, slutty pirates, slutty nurses, slutty vegetables? I really couldn’t say. What I can say is that Friday afternoon found us making our way to The Ritz in Boulder to pick up my costume, and, after a slightly aborted start, we were off to the lovely little town of Estes Park. 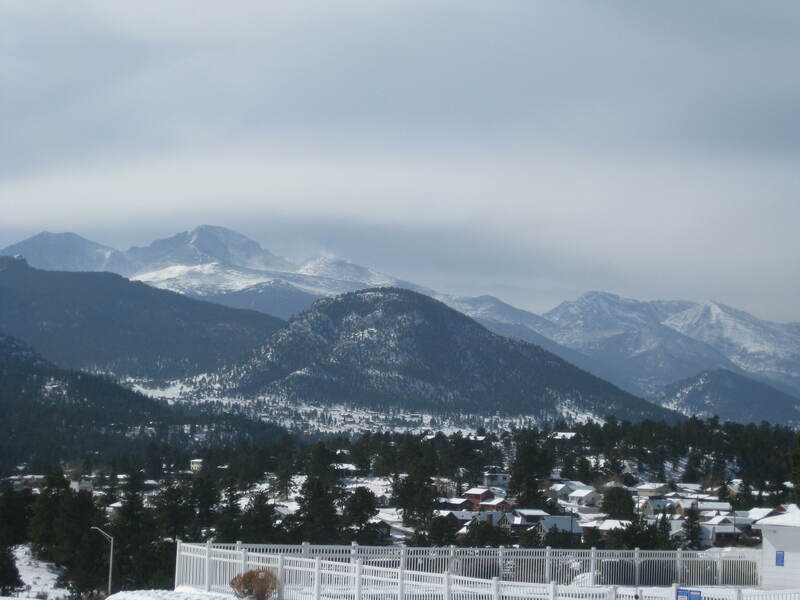 Estes Park is known as the Gateway to Rocky Mountain National Park. 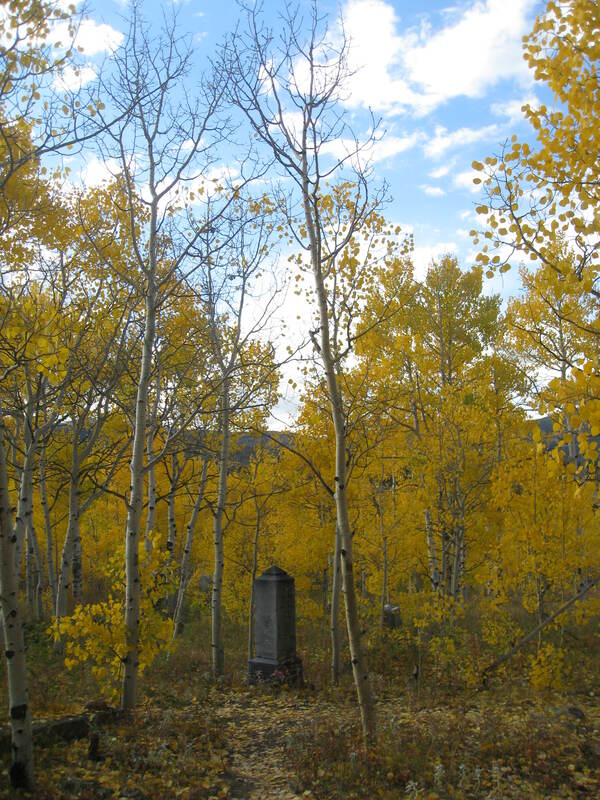 Founded in 1859 at an elevation of 7,522 feet, it was long ago a summering area for the Ute and Arapaho Indians. 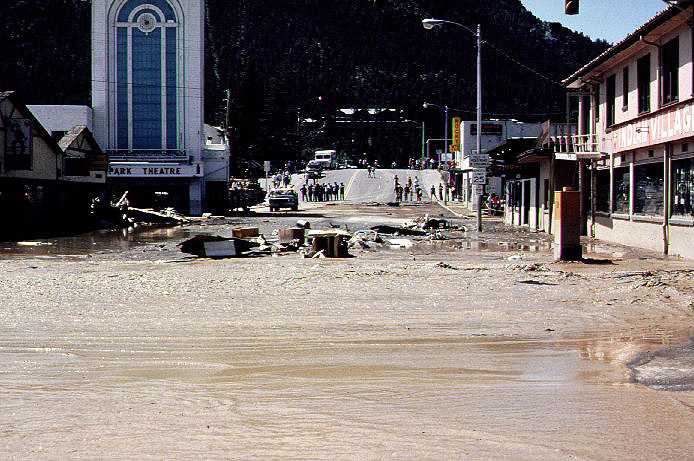 It earned the nickname “The Gutsiest Little Town in Colorado” after it rebuilt itself following the Lawn Lake Flood in 1982, in which an earthenware dam collapsed, flooded the main street and beyond, and killed three campers . 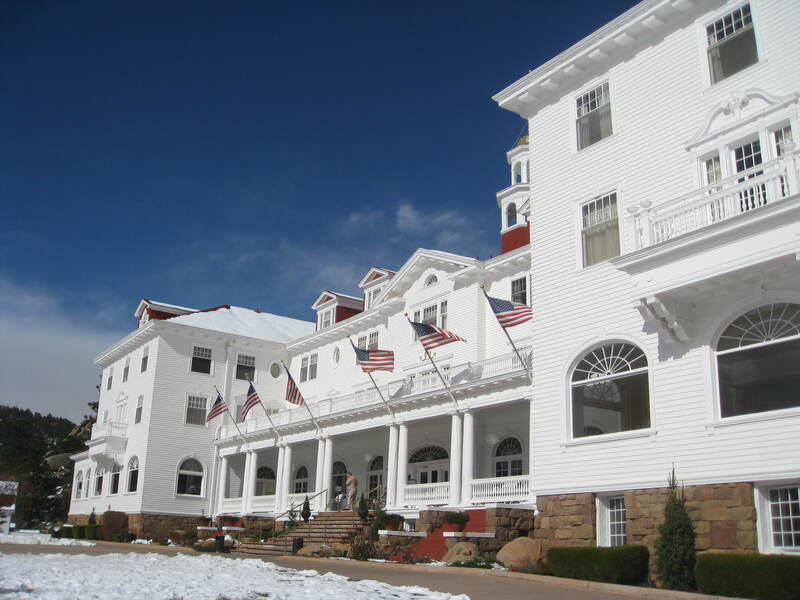 Our destination today was the famous Stanley Hotel. Opened in 1909, this beautiful Georgian architectural style hotel was built by F.O. Stanley, one of the inventors of the Stanley Steamer automobile. 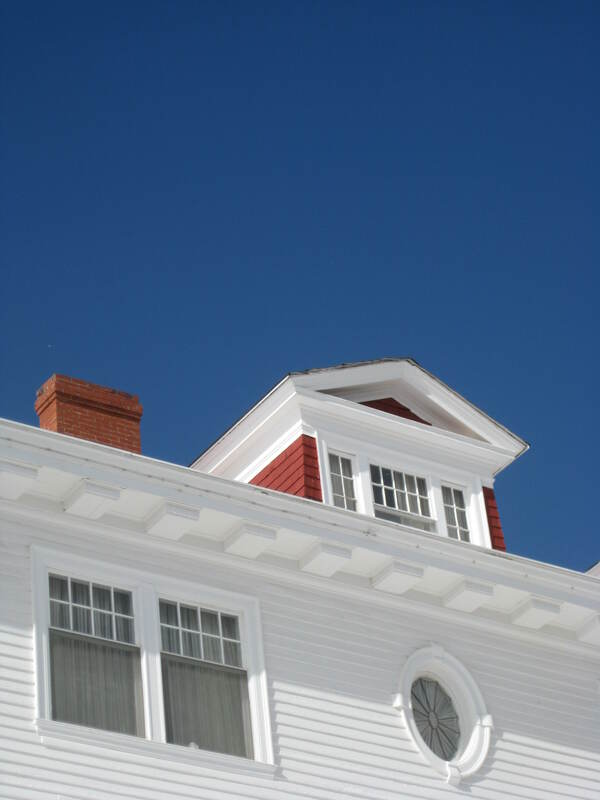 The hotel has housed numerous famous visitors, and most notably, Stephen King, whose stay in Room 217 on a blizzardy night inspired him to write “The Shining”. 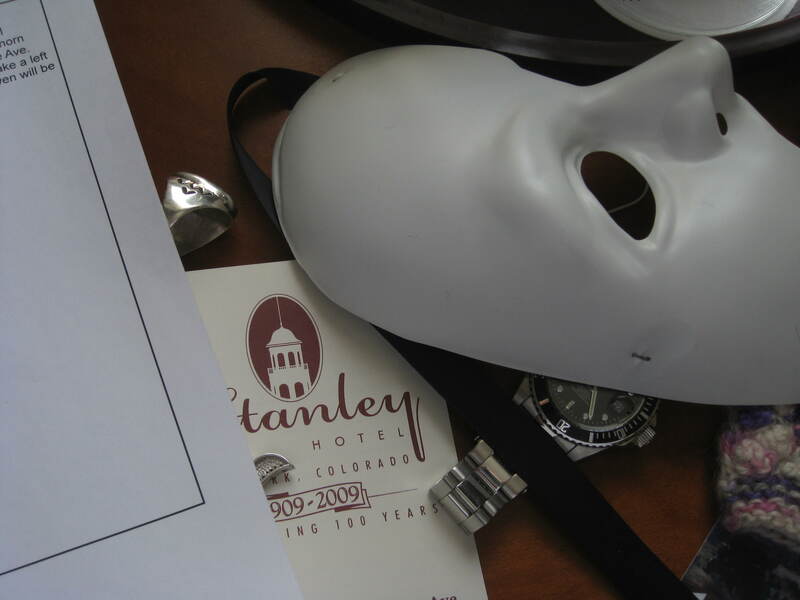 While the Stanley Kubrick film by the same name was not filmed here, because Kubrick didn’t think that audiences would find such a hotel believable in a location like Colorado (hello? reality check? ), it does run on a continuous loop 24/7 on one of the stations on the hotel’s televisions. On the other hand, the mini-series, which was much less violent because it was made for TV, and much more accurate, because Stephen King was involved in the production, was filmed on site. And coincidentally, my boss’ husband appeared on-screen several times in his role as an “extra”. I have never seen either the movie or the mini-series, nor have I read the book, having sworn off Stephen King some time ago. 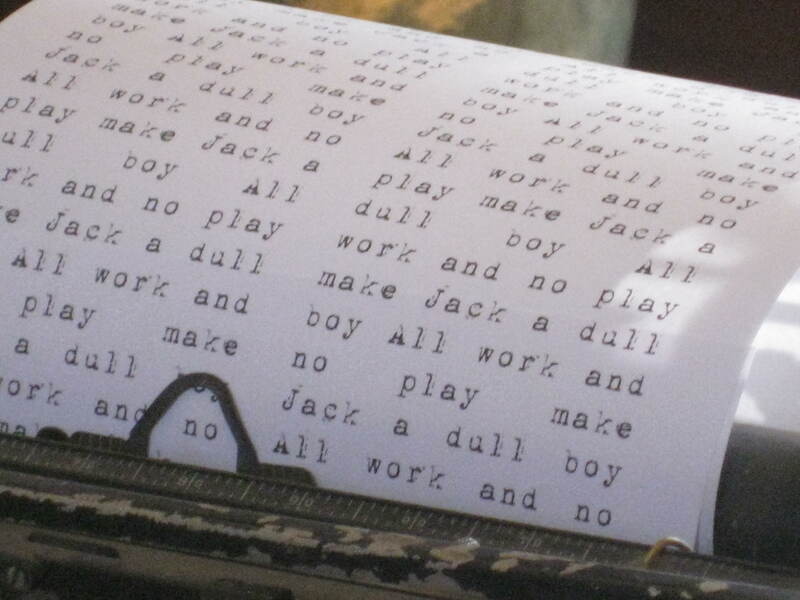 I have tremendous respect for his writing, but reading it is simply destructive to my psyche. 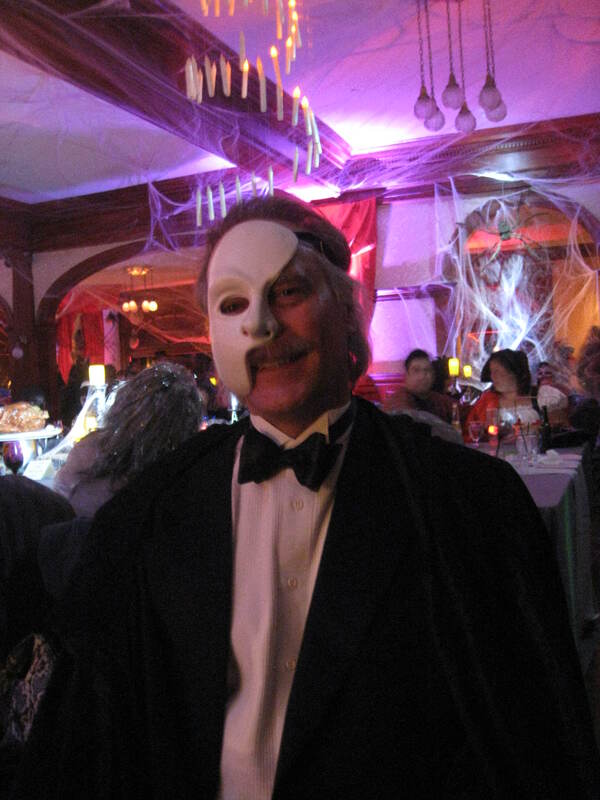 But The Stanley makes the most of the connection, with exhibits pertinent to the novel, and The Shining Ball, a wonderful costume ball and Halloween tradition. 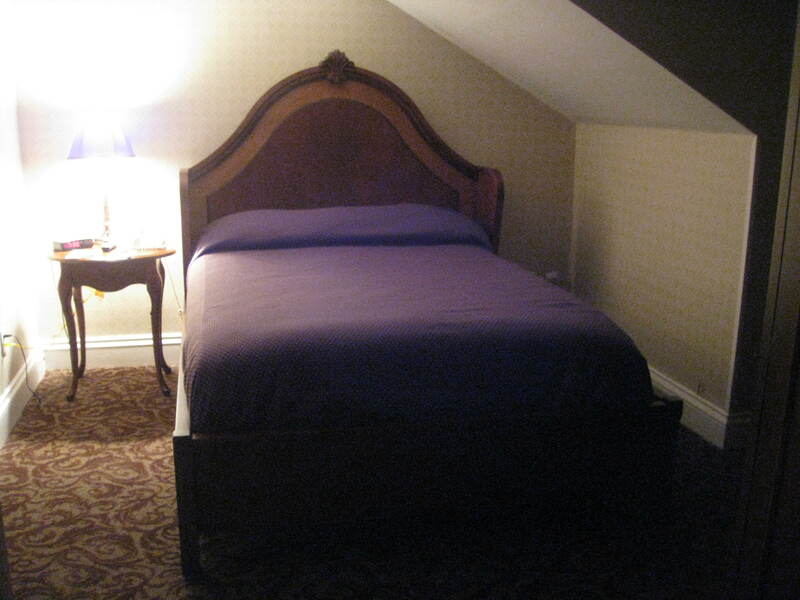 Room 217 is also included on the hotel’s Ghost Tour, which we missed out on. But not entirely. More about that in a bit. 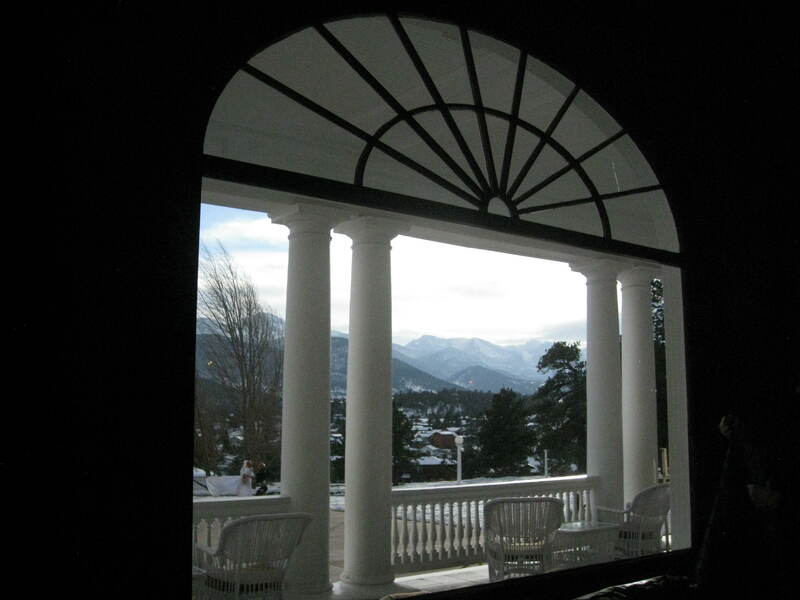 The Stanley offers rooms in the original building and the Manor House, built slightly later. Our room was in the original building in a little dormer on the fourth floor, which is the most haunted floor of the hotel. Dormer rooms are small, but cozy. Word to the wise (and now head-injured) - the shorter person takes the side of the bed with the low ceiling. Since it was so late, and cold, and parking spaces were rare, we decided to have a light supper in the Cascade Room, taking the stairs this time, instead of the terrifying cage elevator. I’ve had a deathly fear of cage elevators since I was a child, but I took it when I had to. The staircases though, were too beautiful to resist. Dinner was expensive but delightful, made all the better by our wonderful server, MaryAnn, who had worked at the hotel for 21 years and told us her own personal ghost stories. She made us promise to come back the next night in costume so she could see us. We had wasted no time upon arrival in exploring our creepy hallway. Fortunately for me, MKL is rather a sensitive in this area, as I am, so at least he doesn’t think it’s nuts when I pick up on energy or see stuff that would spook most humans. In fact, he often shares the same experience. So it’s quite a pleasure for both of us to have someone who understands. About halfway down the hallway, I got dizzy. I got queasy. My head ached. 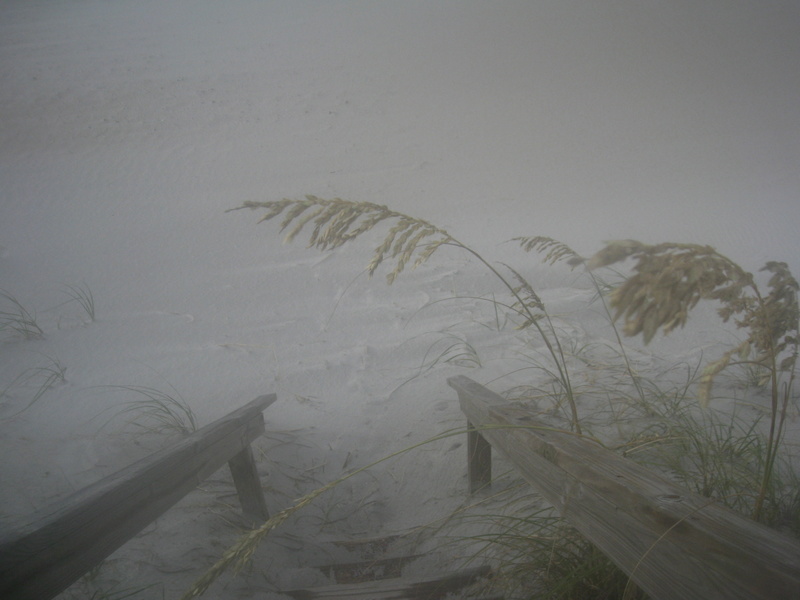 And the farther I got towards the end, the thicker the air became, until it felt like walking through goo. 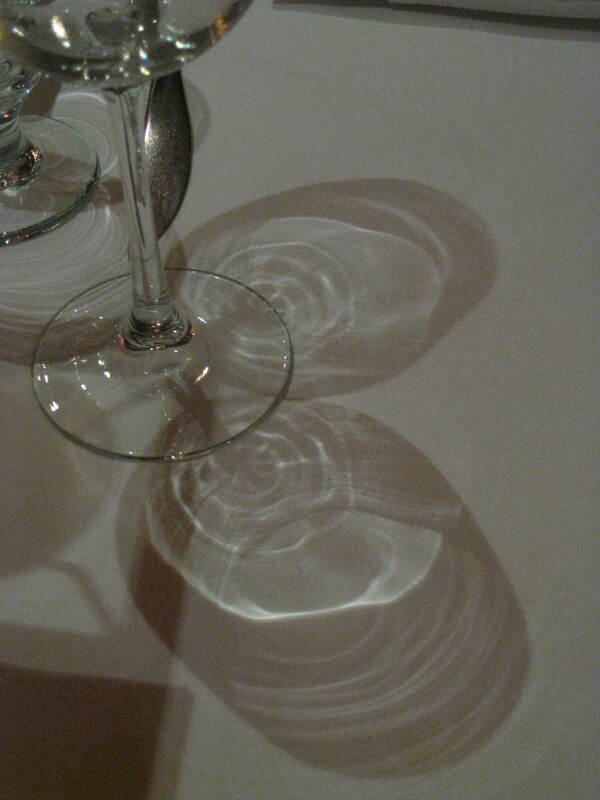 And yet everything appeared perfectly normal. Energetically, however, normal it was not. 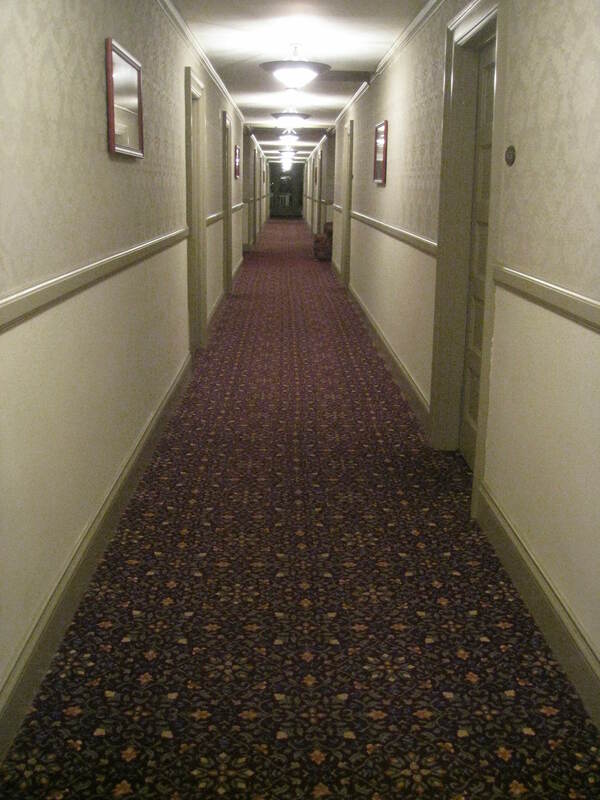 We experimented with the hallway many times, and with other hallways in the hotel. The experience was always the same, hitting at the same place, and it never happened in other hallways. 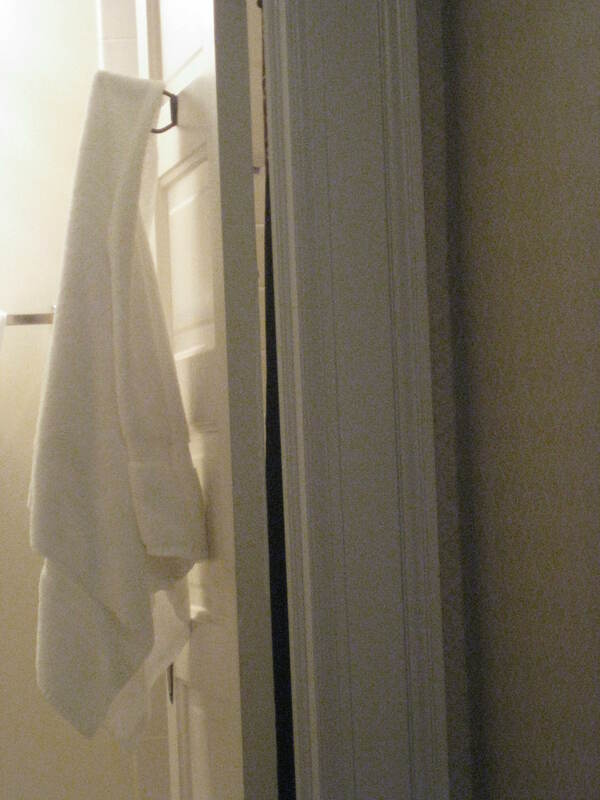 On one of these little escapades, I turned and quickly took a photo, and caught the culprit in orb form. It vanished in the next instantaneous photo. I know there are plenty of naysayers out there, but I’m a believer in my orb. The next day was gorgeous. But bitterly, freakishly windy. Painfully windy. Wind that, as MKL put it, was throwing dirt and rocks and branches and small children at us as we tried to make it to the car from breakfast at The Egg and I. It totally deterred us from our planned explorations of town. So we stopped at the excellent combination pharmacy and liquor store to pick up some champagne (who can’t love a store that sells both drugs AND alcohol?) and retreated back to the hotel, picking up some sandwiches for late night post-party consumption. 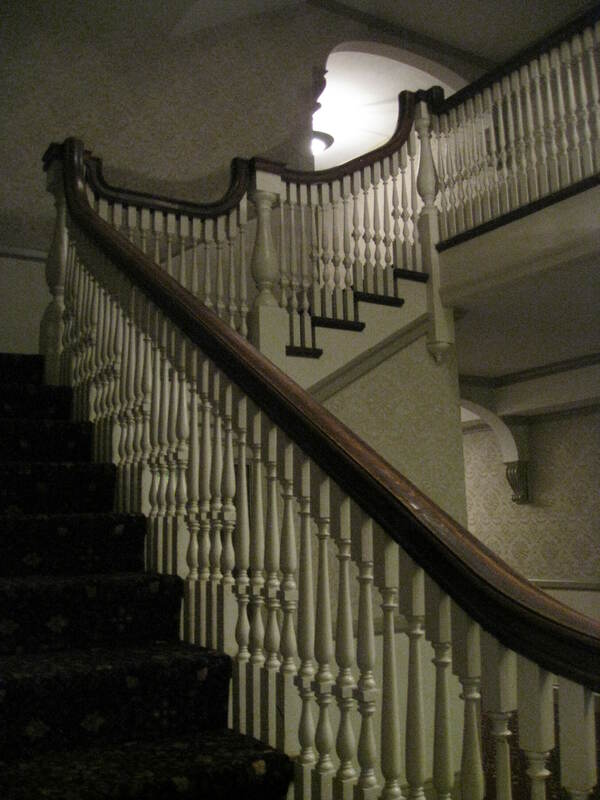 Our room was, as I said, on the haunted fourth floor. 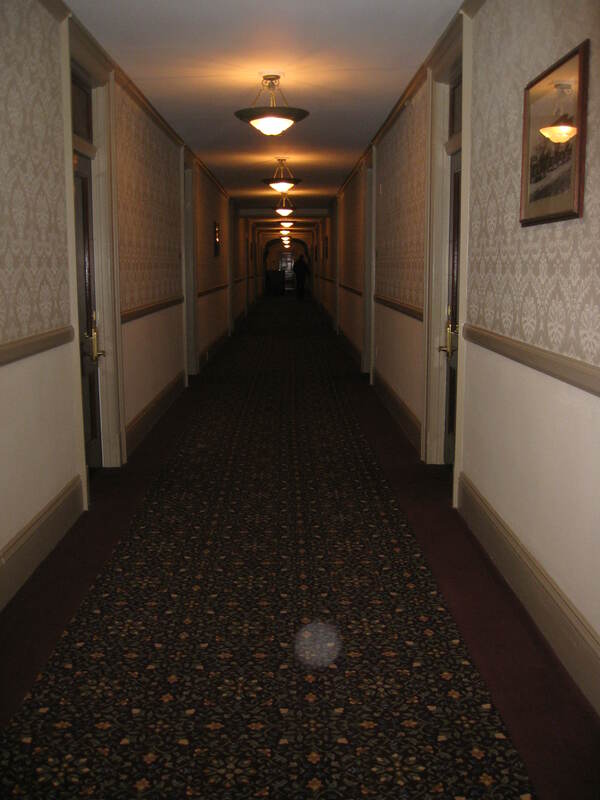 The hotel runs ghost tours from around 10:00 am until 10:00 pm, taking small herds of visitors (who, by the by, sound like baby elephants tromping around the old creaky floors) to the spookiest places in the hotel. Room 401, which housed the infamous Lord Dunmore, who remains a mischievous ghost, was just down the hall next to the elevator. Room 428, home of the kissing cowboy ghost, was next door to us. Room 418, supposedly one of the most haunted rooms, where ghost children take candy if it’s left out on the dresser, was down the hall. Room 406 , where we started getting the most creepy vibes wasn’t specifically mentioned on the tour, but in the hallway itself numerous ghost children run up and down it at all hours, playing ball, and flushing toilets in rooms repeatedly. Including ours. Yes, that toilet started flushing itself on our second night, periodically, refusing to stop. So, all of this knowledge we gleaned from listening to the ghost tour outside of our door. 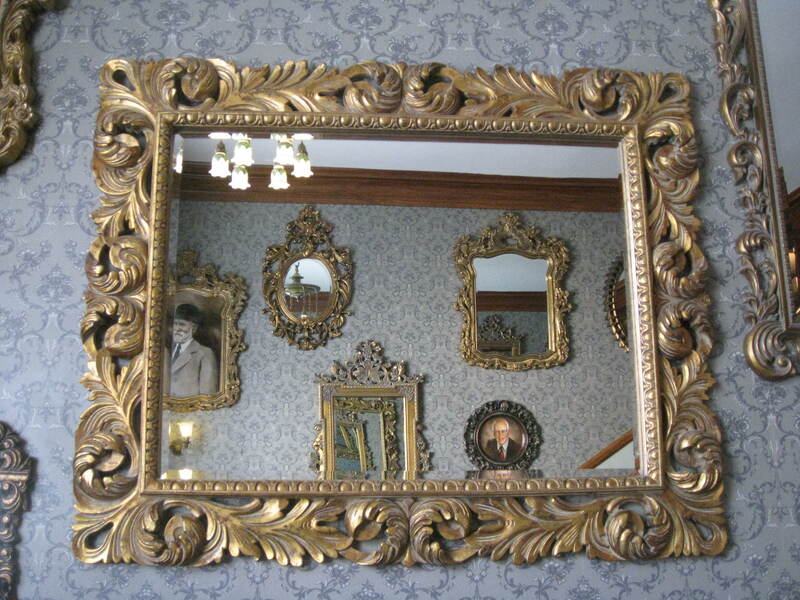 We also ran into a crowd outside Room 217, where Mr. King found his muse, and outside of Room 237, where Elizabeth, a former chambermaid, “looks after” guests. Elizabeth is very benevolent, and MaryAnn told us that when she first started, she could feel Elizabeth looking after her, leaving lights on and such. 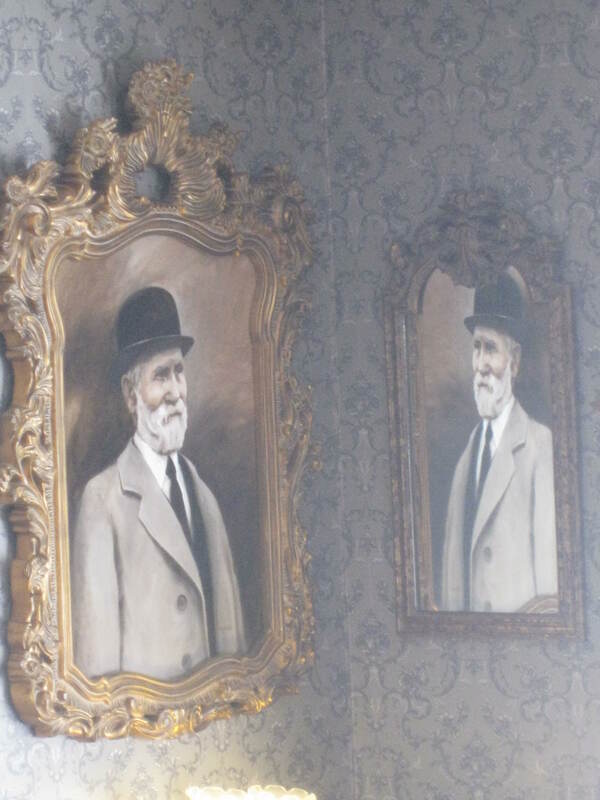 It was rather awkward, though, when guests in these rooms would open their door when a tour was stopped in front of it. And slightly startling to find people taking pictures of your room door. The time came for us to get dressed up and head down to the ball. The Shining Ball. 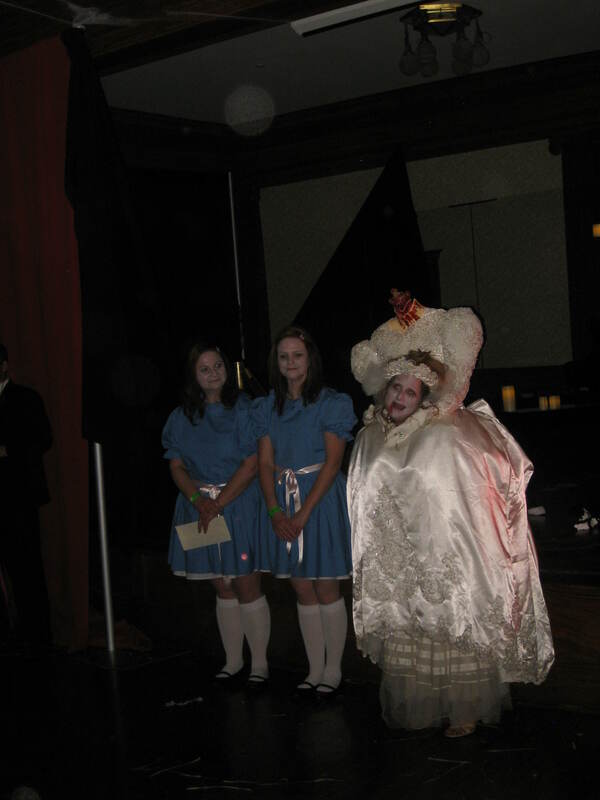 In full costume with about three hundred other people in the haunted MacGregor Ballroom. We felt like such royalty going down the beautiful staircase. We came as the Phantom of the Opera and Christine. While I don’t yet have any photos of the two of us together, we were told by many people that we were a gorgeous couple. We are waiting for our new friend Natalie to send us some of the photos she took of us. I didn’t like the only two I have – I felt like they made me look big as the hotel. 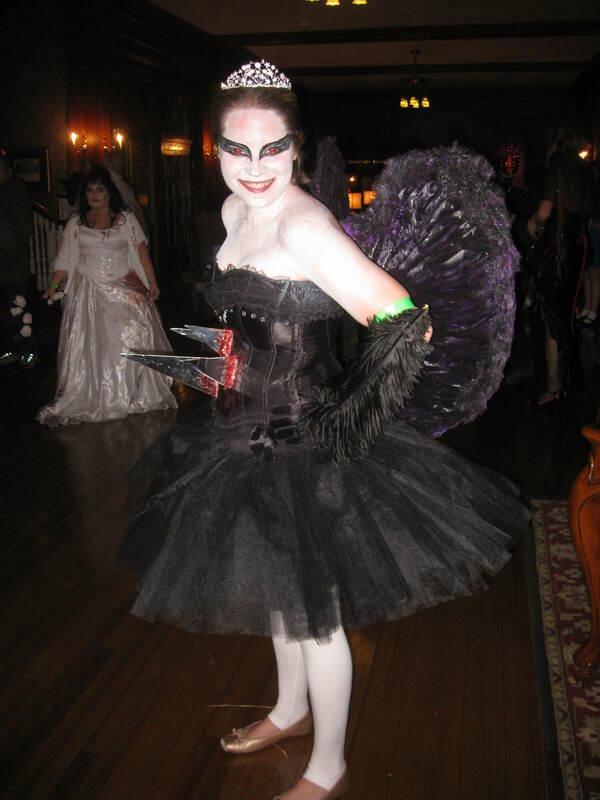 Natalie looked stunning as the Black Swan. Her adorable mother Mary came as a slutty gypsy. We ran into these two right in our hallway when we first checked in, again at breakfast and later, they saved us some seats at the Ball. I loved watching these two. I hope that when Kelsea is Natalie’s age, she and I have a similar relationship. In fact, I look forward to it. An extremely intoxicated wood nymph..
doing highly inappropriate things with Tigger. 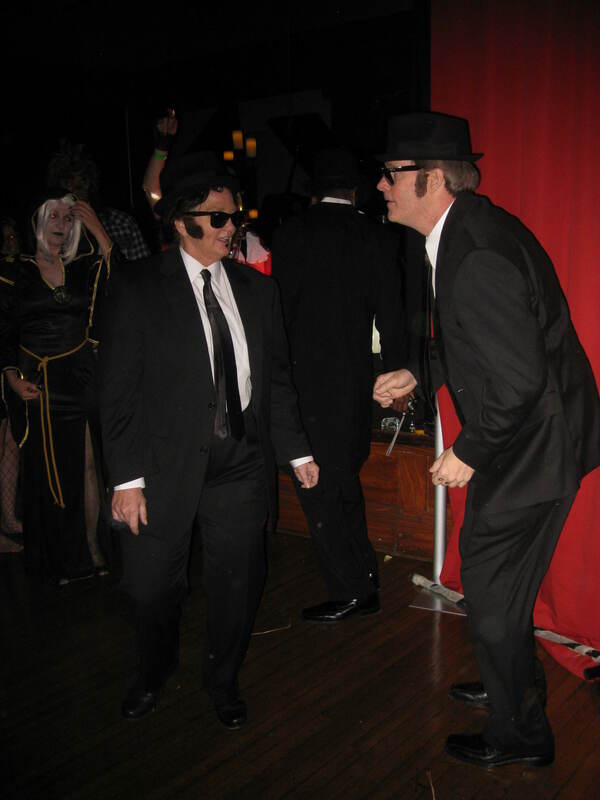 The Blues Brothers got their own solo. 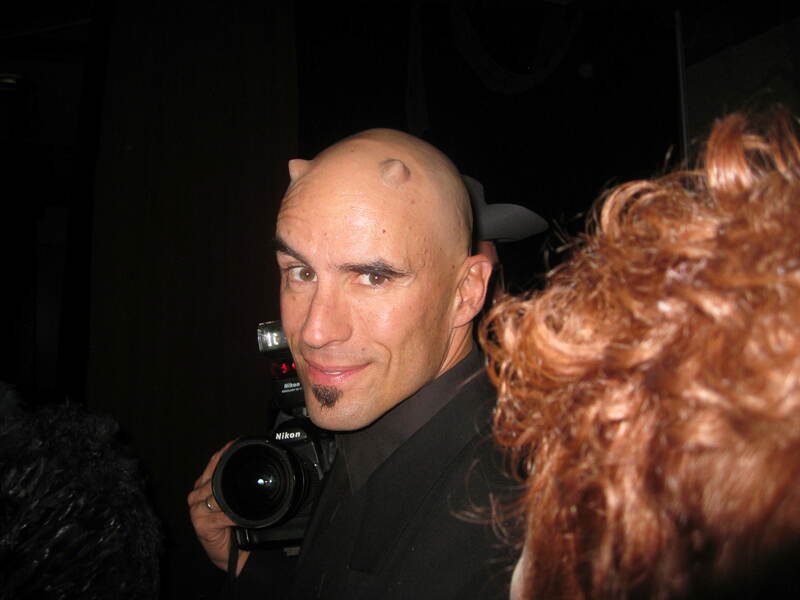 My favorite horns - he made them with cotton balls, red dye, and something else. We had a marvelous time. There were lots of people dancing on their own, which is great, although sometimes it got a little creepy because of the costume. There was a jester always at our elbow, checking out MKL. There was the incredible hulk who kept sort of thrusting himself into all partners. There was the red toga lady who was really getting into grinding on me from behind while MKL and I were trying to dance, until her husband (Nero) called her off (literally). And there were a phenomenal amount of exceptionally tall people there. Really. Close to seven feet tall. Weird. 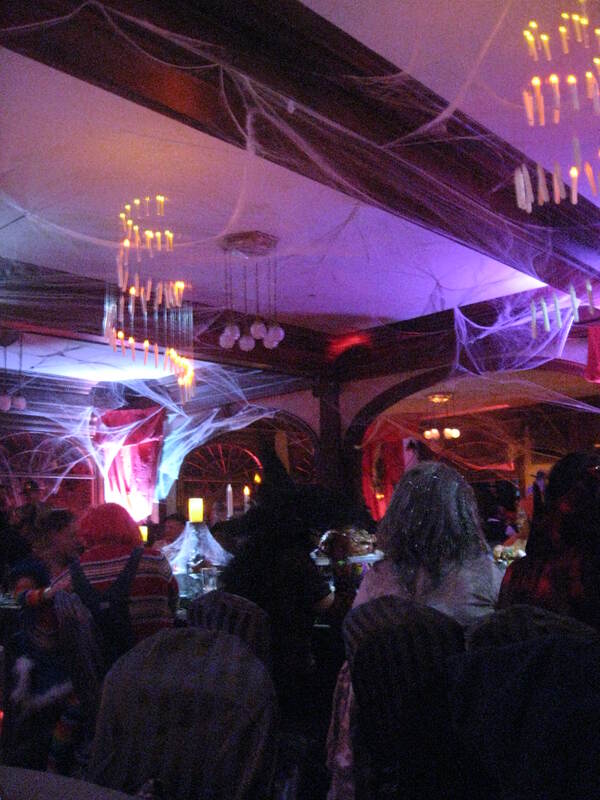 And lots of my photos of partygoers also contained orbs, so the ghosts enjoyed the festivities too. Stopping for a final martini in the bar before bed, we watched a very tall guy dressed as a cowboy trying to decide if he wanted to accept the attentions of either of the guys who were hitting on him. He looked pretty drunk and pretty confused. We wished him well, and turned in at almost two. I haven’t stayed out that long in years. I felt like a princess. It was so cool. We got a slightly late checkout, had a wonderful breakfast at the Mountain Home Cafe, and talked about what we might be if we go next year. It would be a lovely tradition.